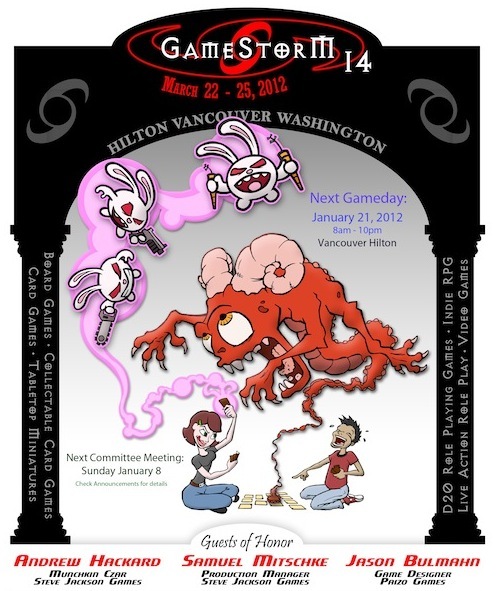 This March, the Other Vancouver in Washington gears up for its 14th annual GameStorm Convention at the Hilton Hotel. Special Guests include Andrew Hackard and Samuel Mitschke of Steve Jackson Games and Jason Bulmahn of Paizo Games. The event will feature 24-hour gaming goodness including board games, tabletop role playing games and even Live-Action Role-playing. Tickets are $45 at the door, register before March 7 to save!